Barenplatz pertains to the political life of the Swiss Confederation being a government plaza located in the old city of Bern. The fruit and vegetable market, the many busy buildings, entertaining gardens a couple of restaurants and more highlight this area. One can sit at leisure and watch the River Aar flow by while kids can enjoy playing by the magnificent fountain. 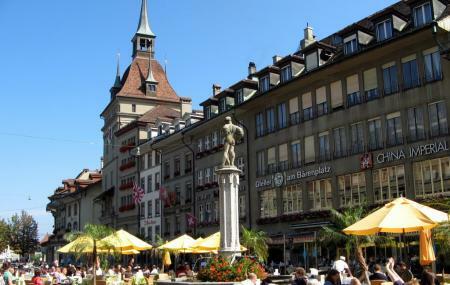 People normally club together Old Town Bern and Federal Building while planning their visit to Barenplatz.